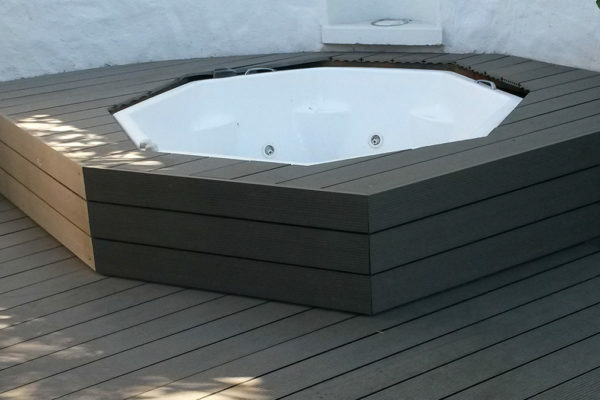 Composite products are made up of wood and high-density polyethylene (HDPE plastic). 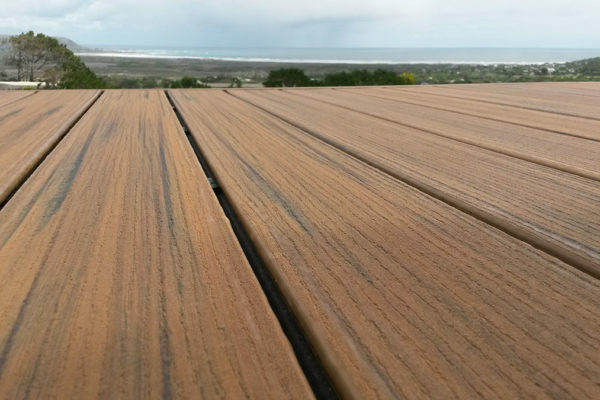 The wood particles can be anything from sawdust or recycled wood chips. 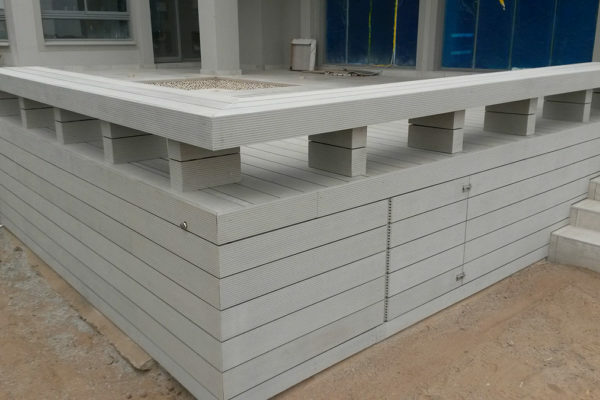 The plastic components can be either virgin or recycled plastic materials. 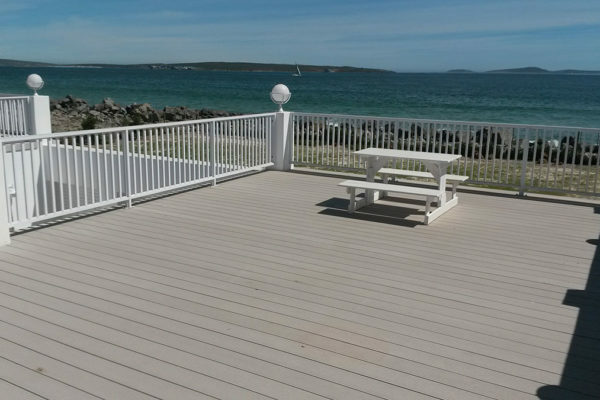 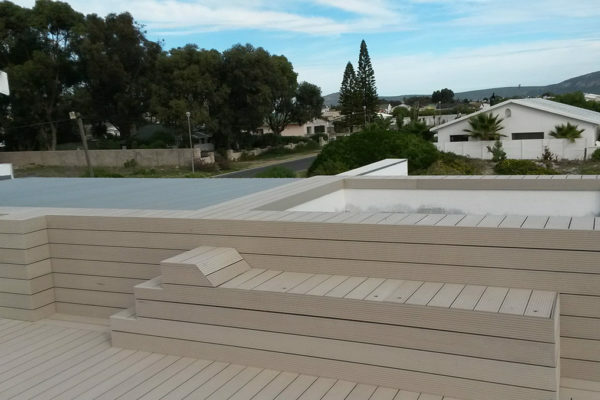 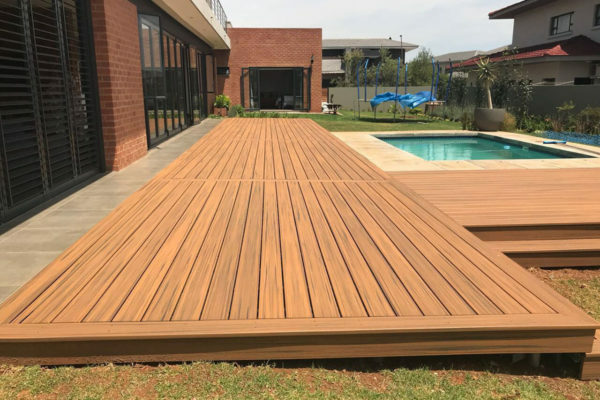 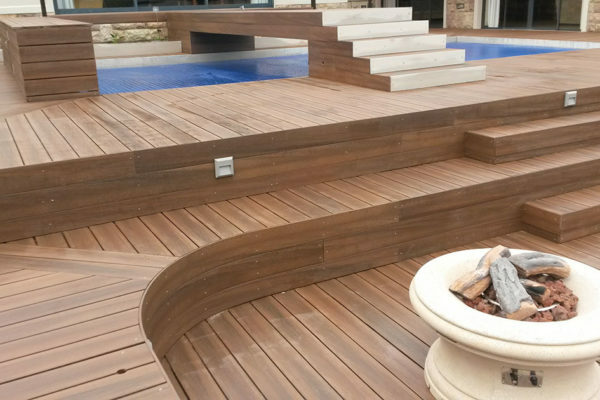 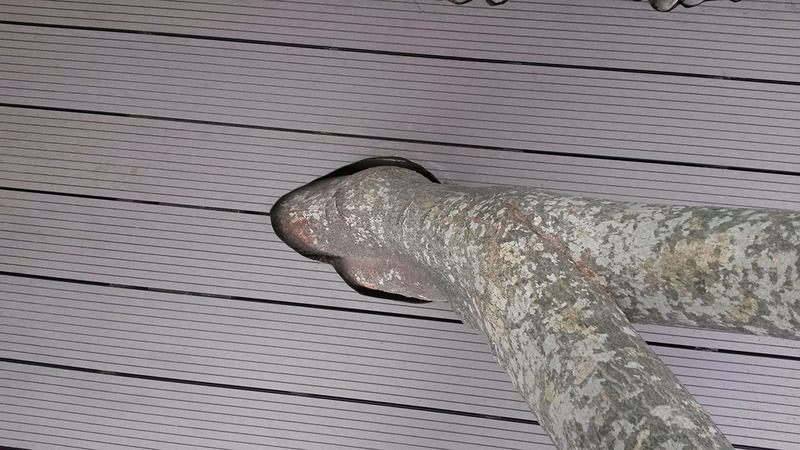 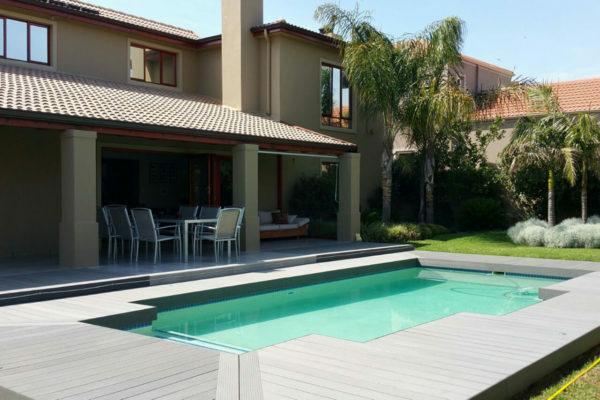 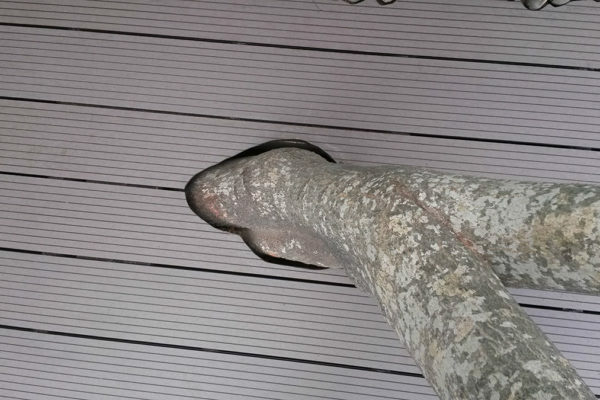 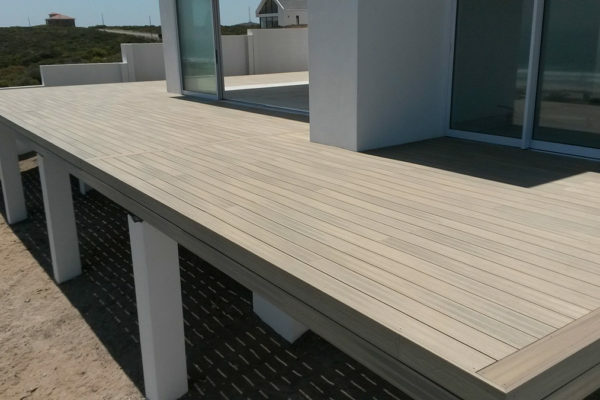 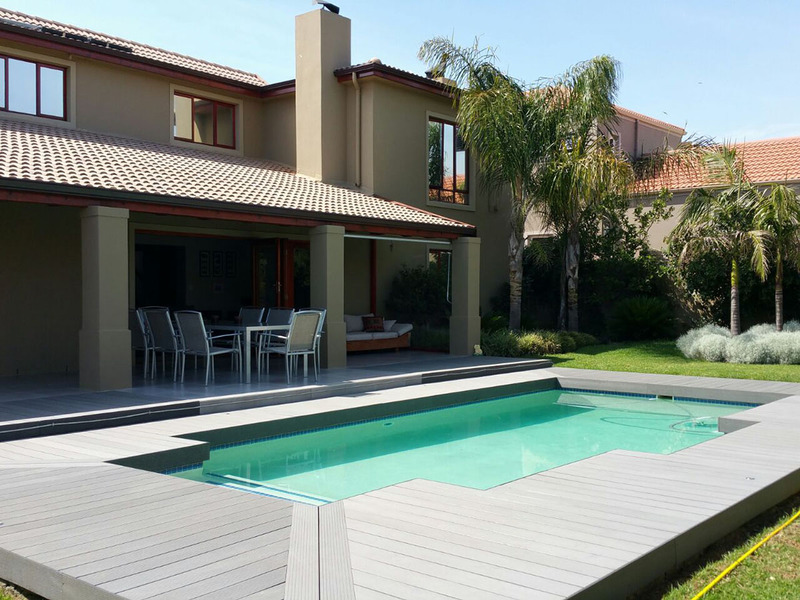 Composite decking has taken a number of years to be accepted by the world even though almost no trees have been intentionally cut down to produce composite decking. 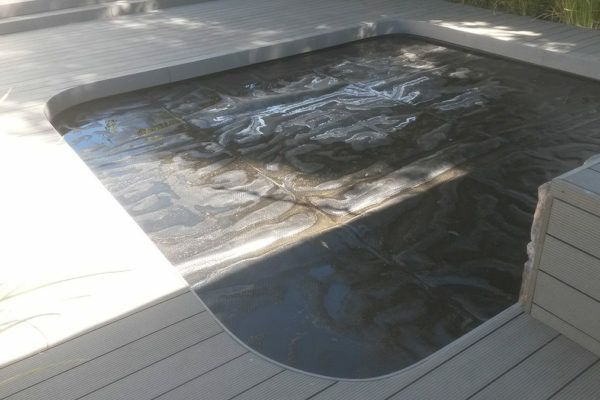 It has so many benefits. 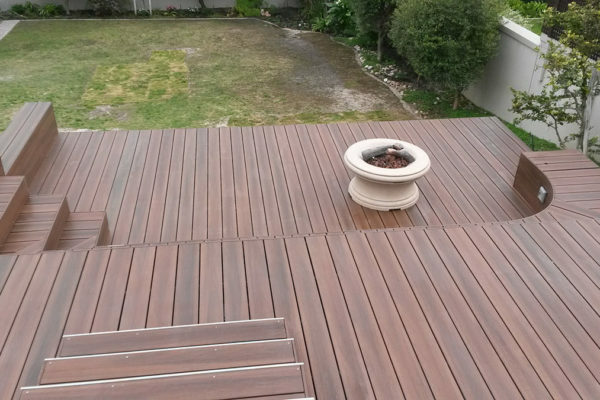 Some commonly known benefits are the low maintenance and Eco Green Certificates achieved from recycling. 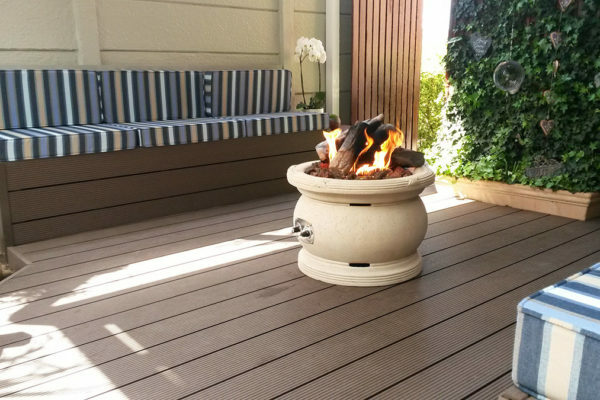 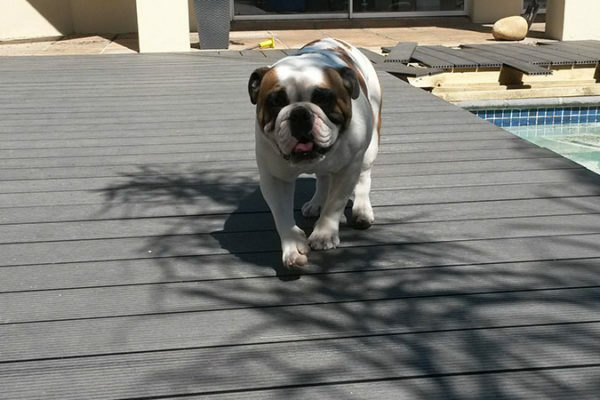 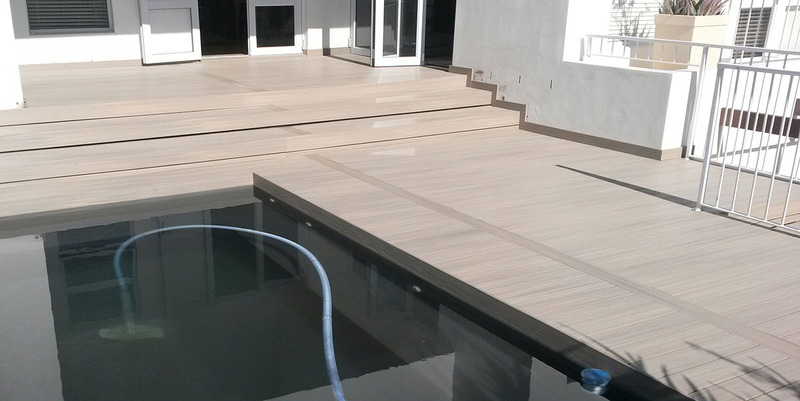 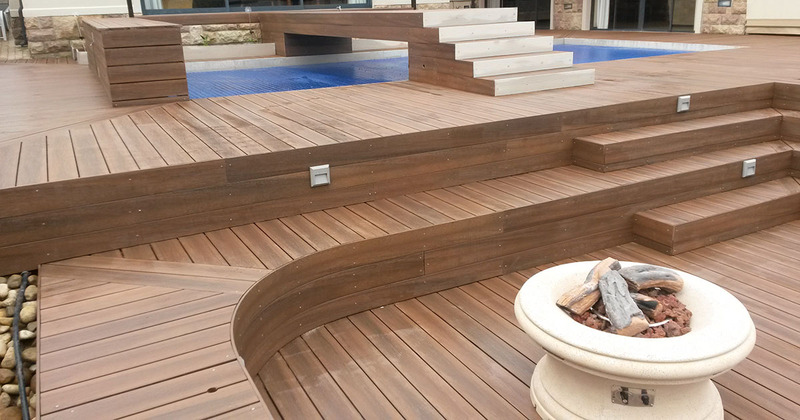 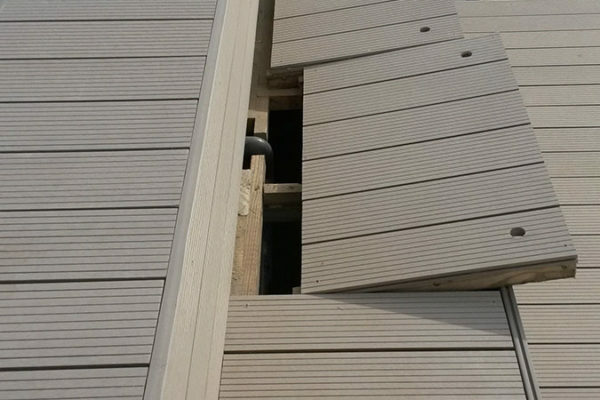 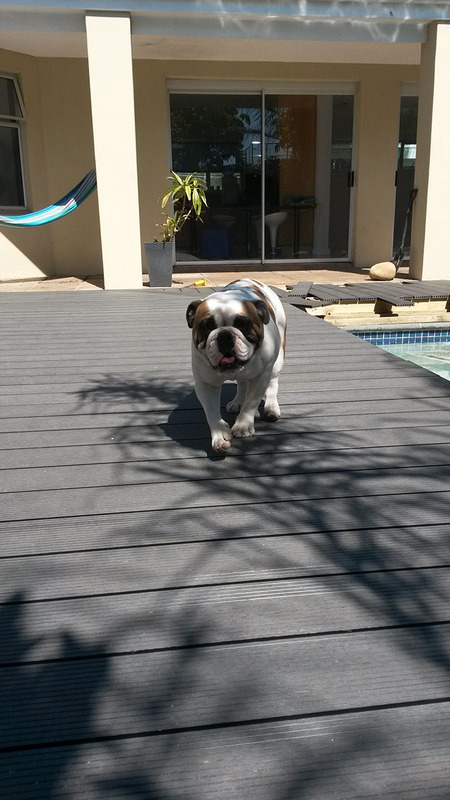 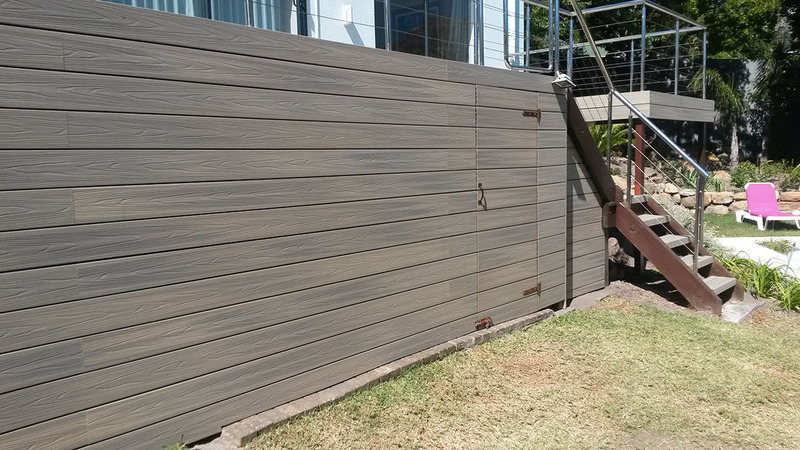 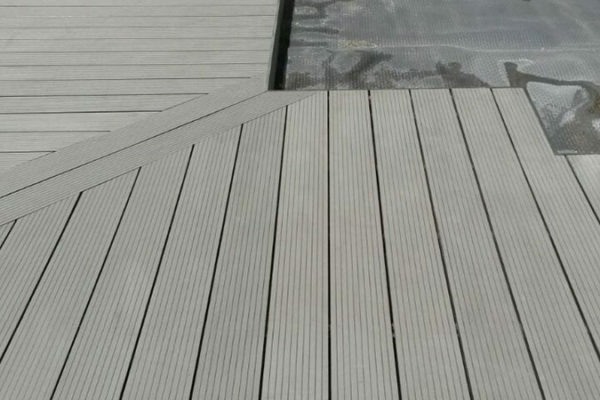 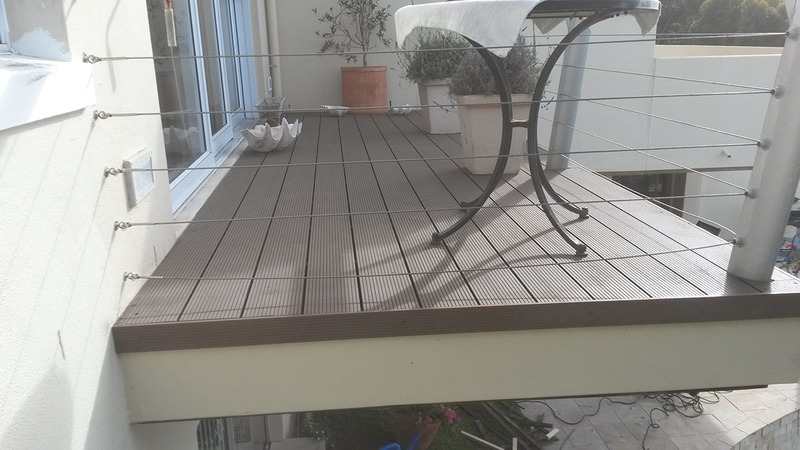 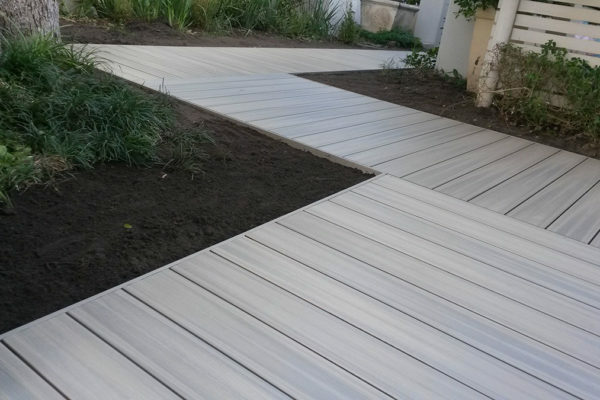 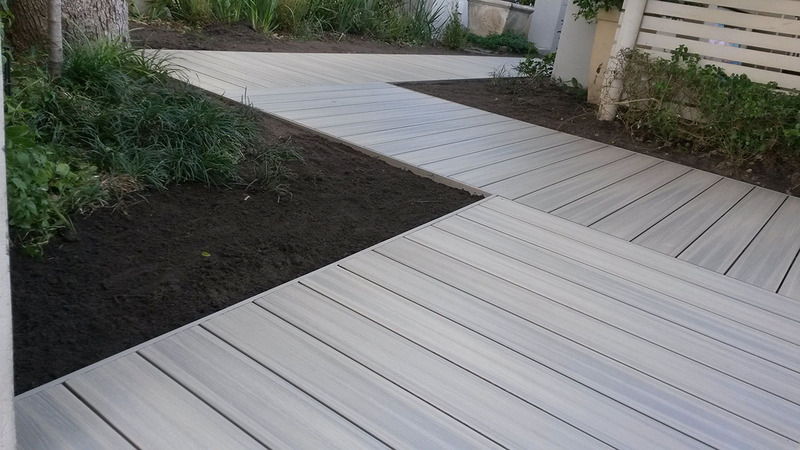 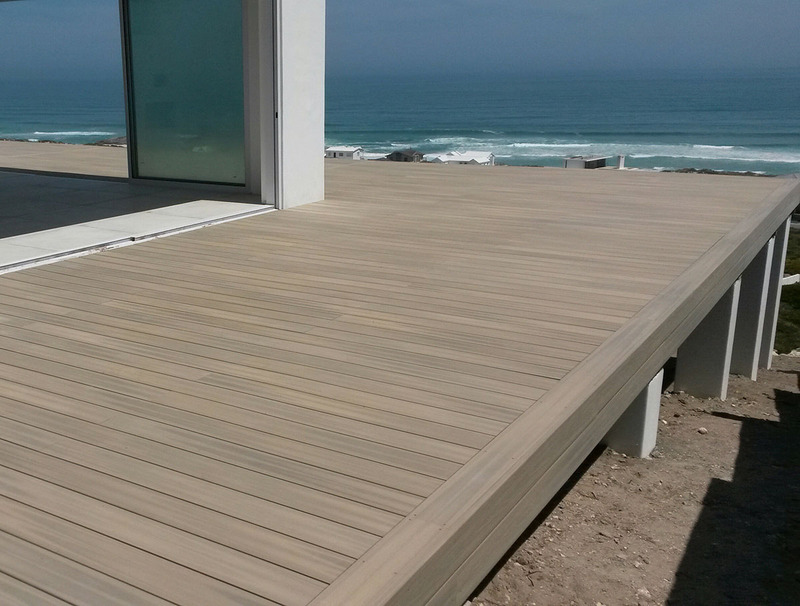 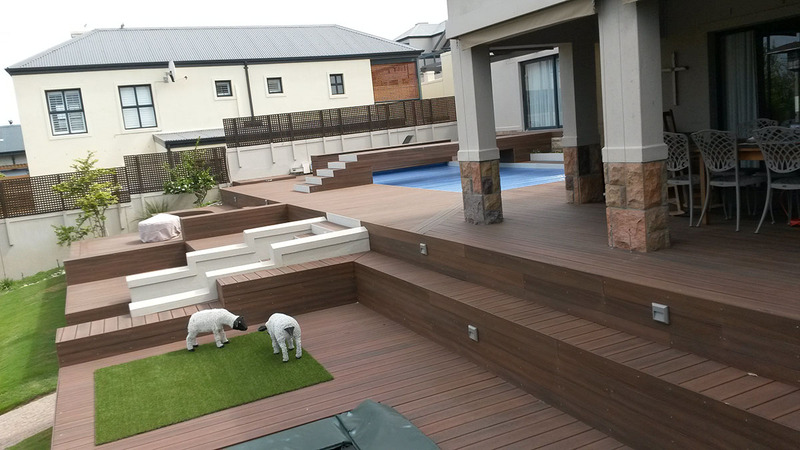 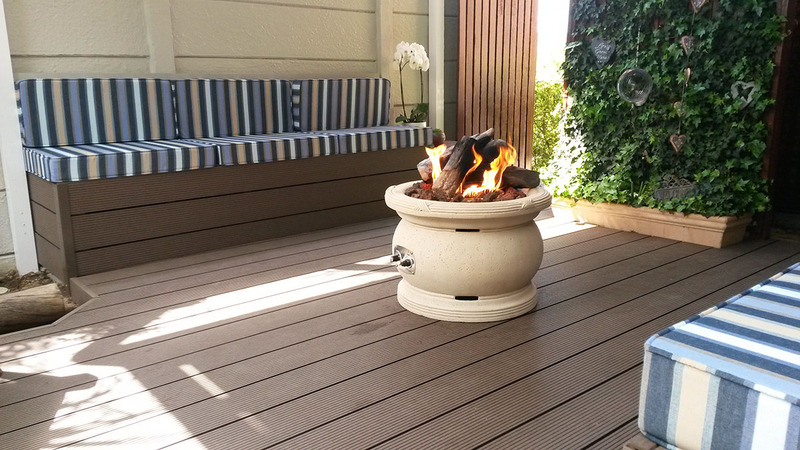 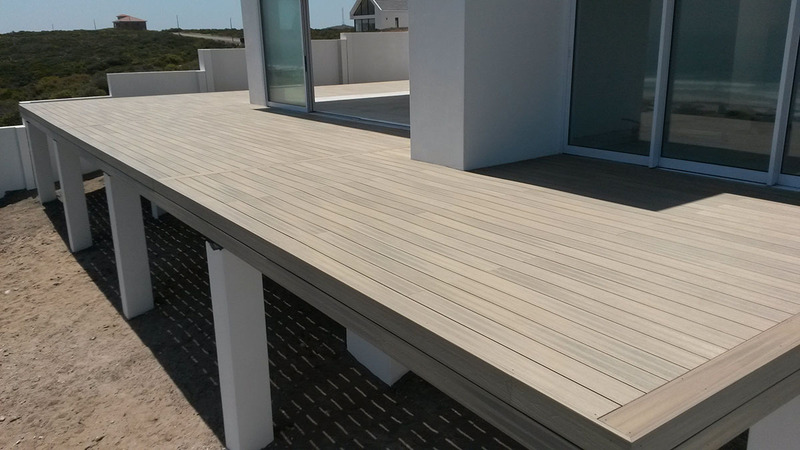 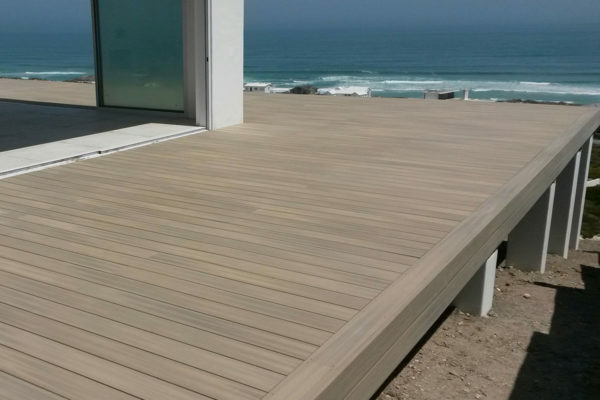 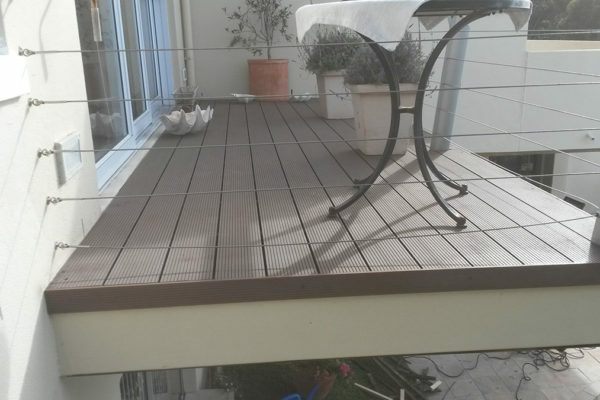 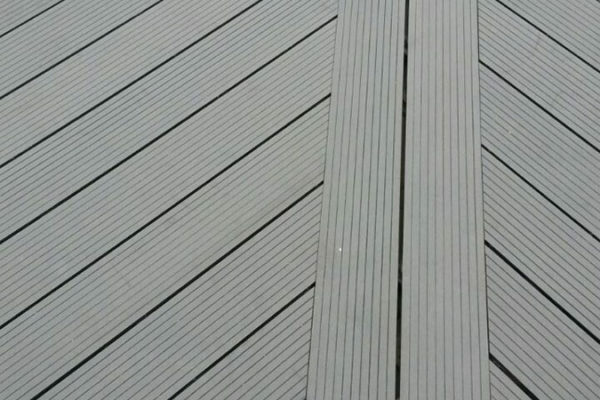 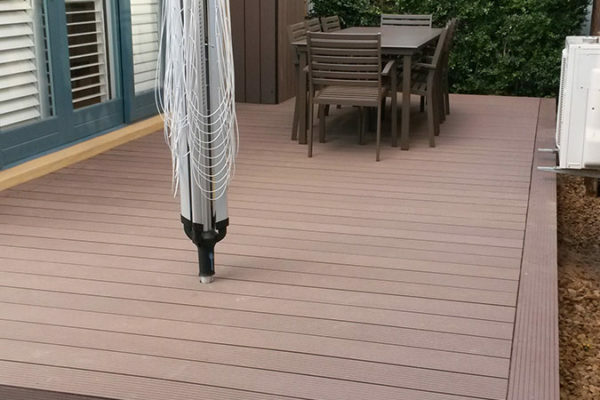 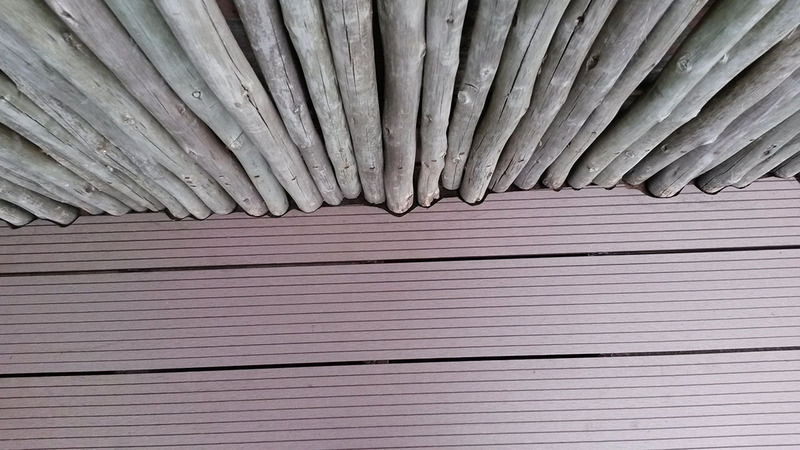 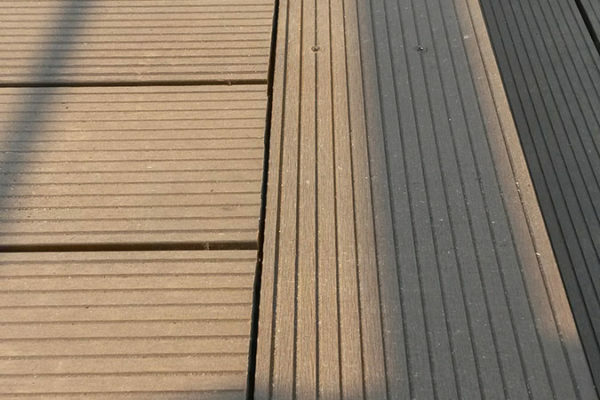 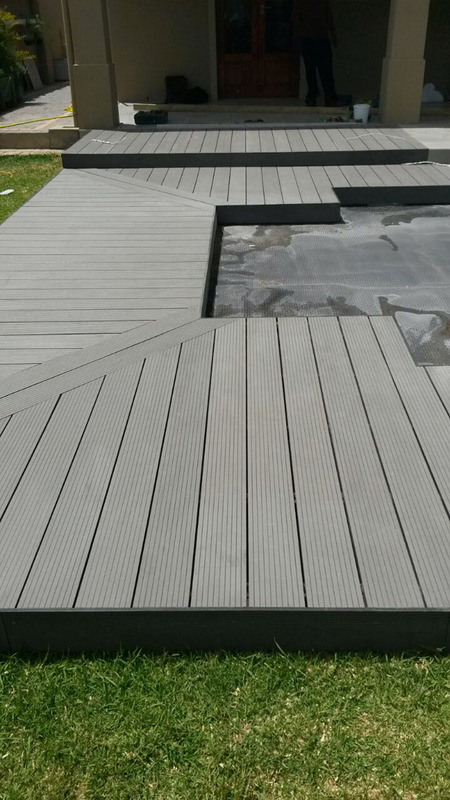 Overall, wood composite decking is long lasting and great for the environment. 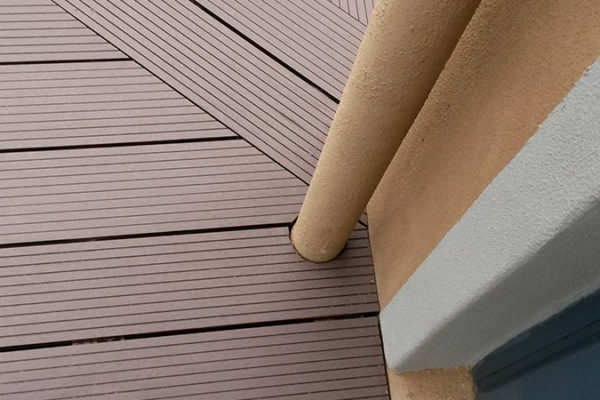 Composite decking comes in a variety of lengths, so it is easier to install a deck with either no joints or very few joints. 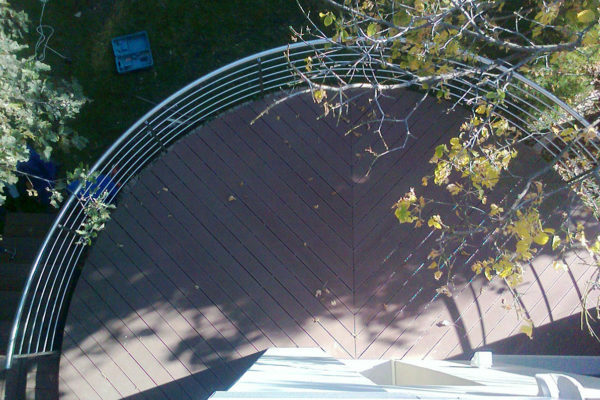 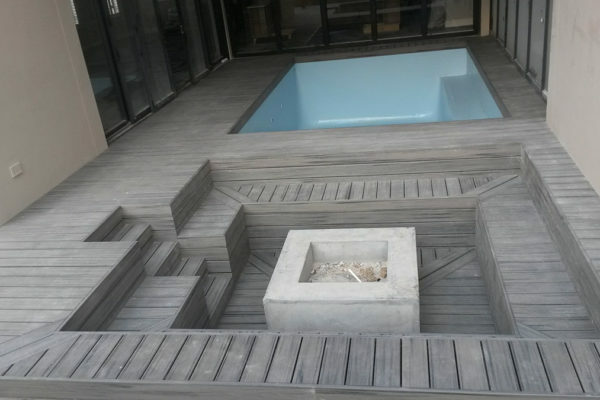 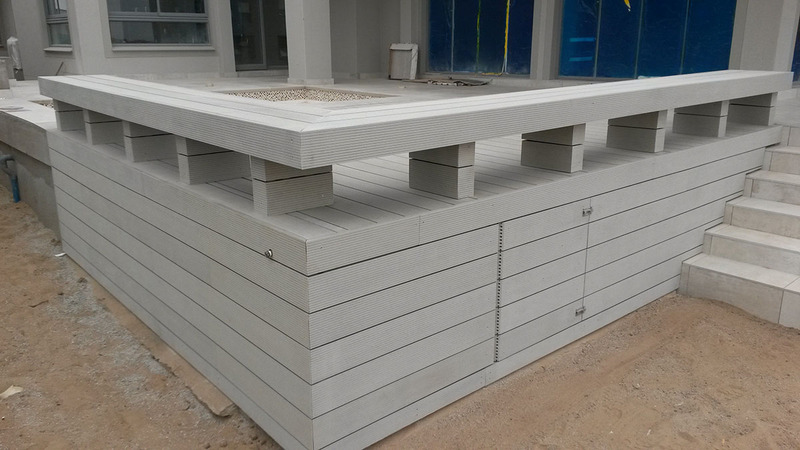 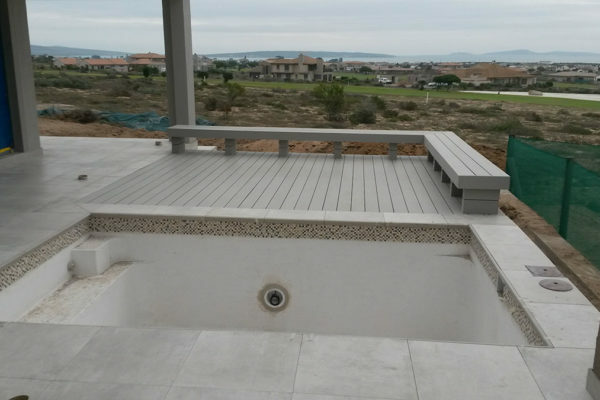 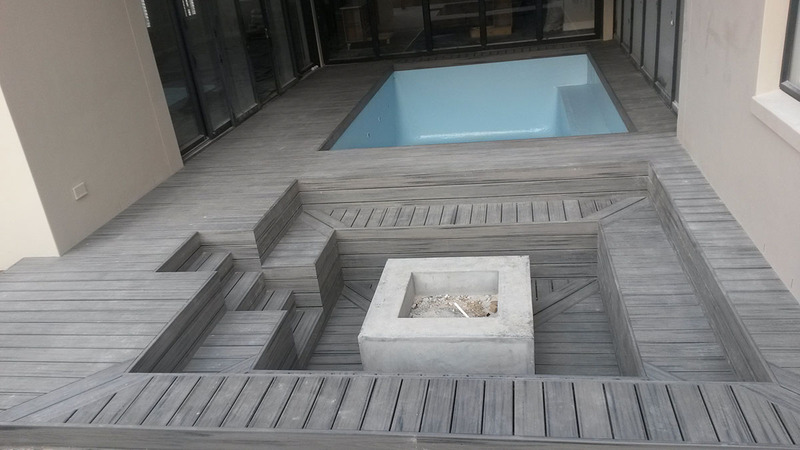 We can design the deck to maximize the usage of material as well. 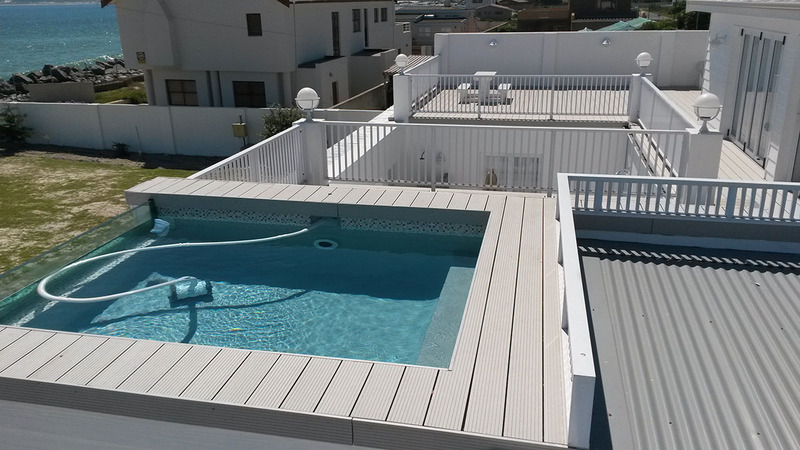 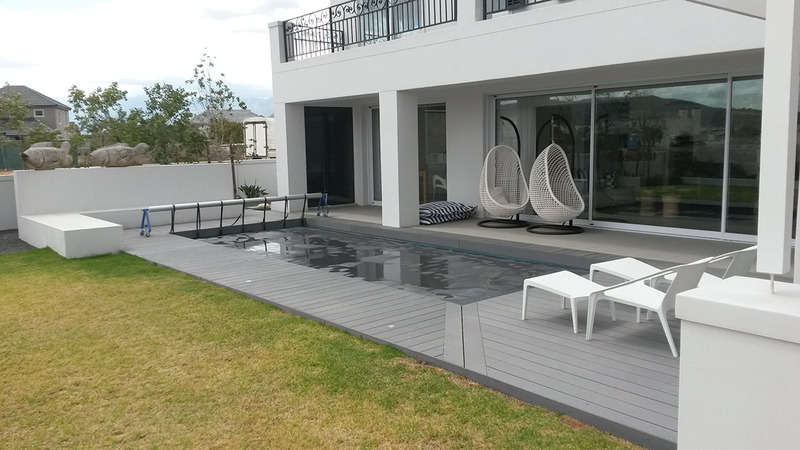 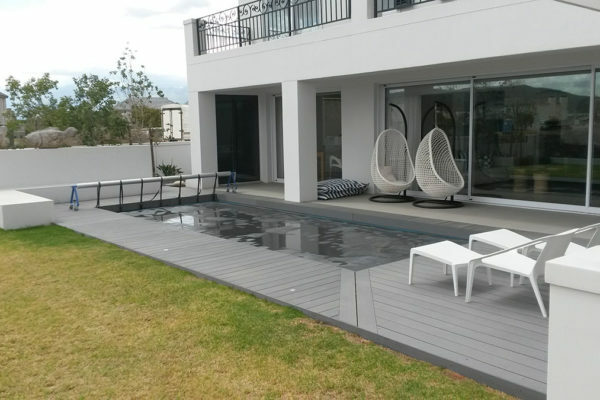 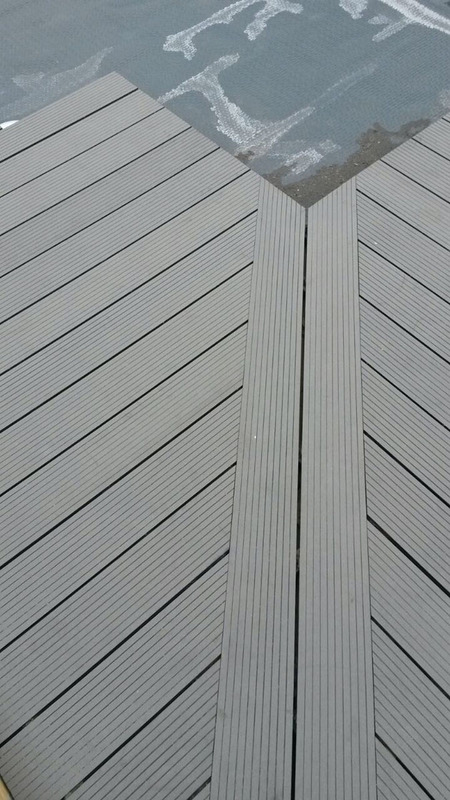 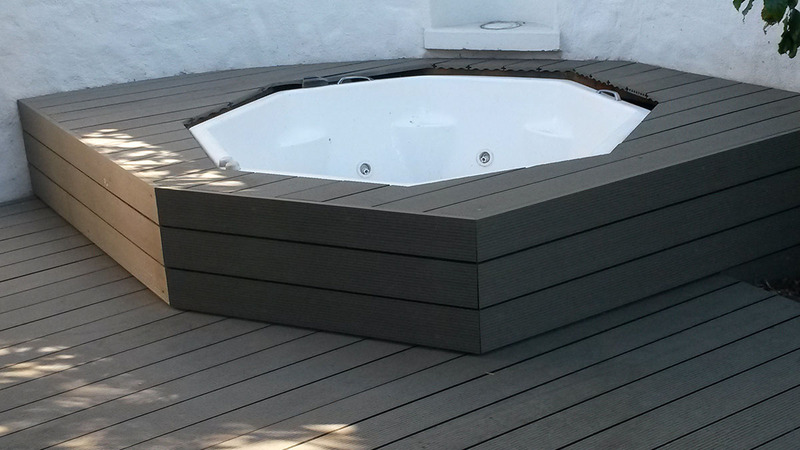 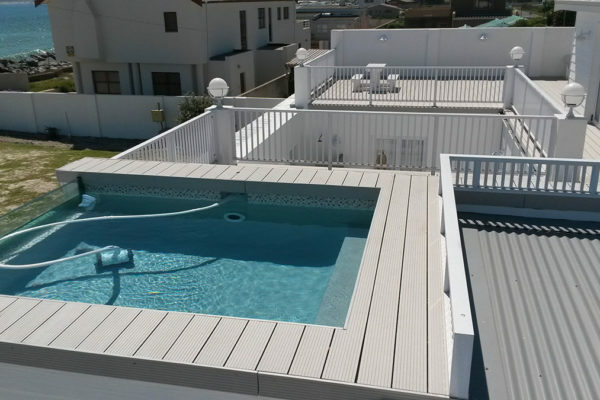 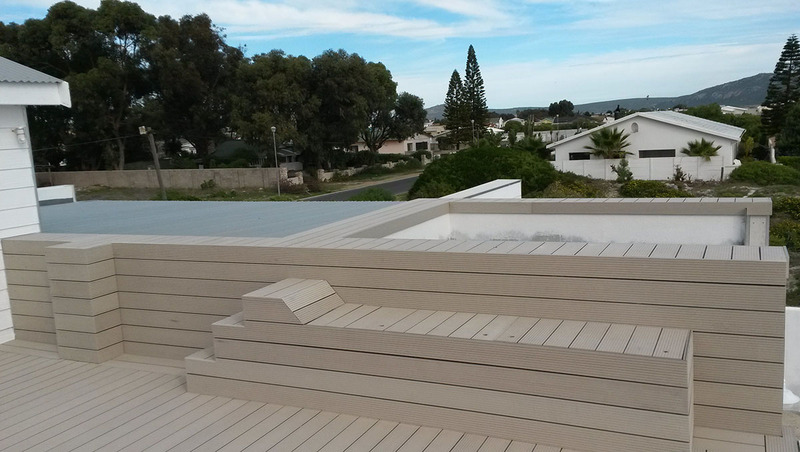 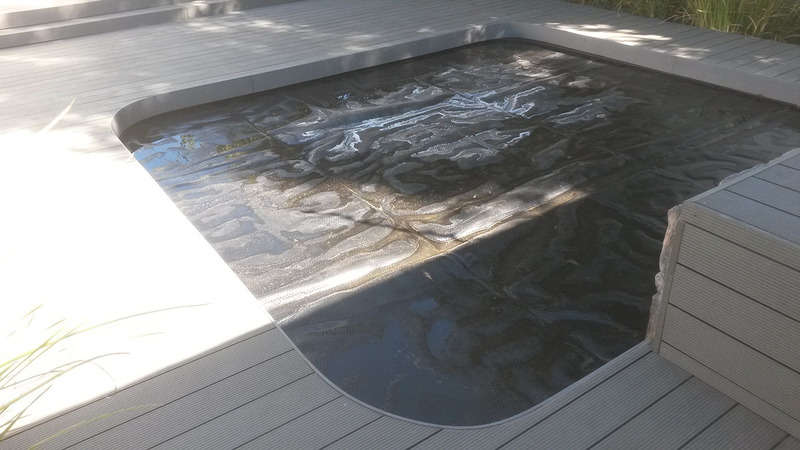 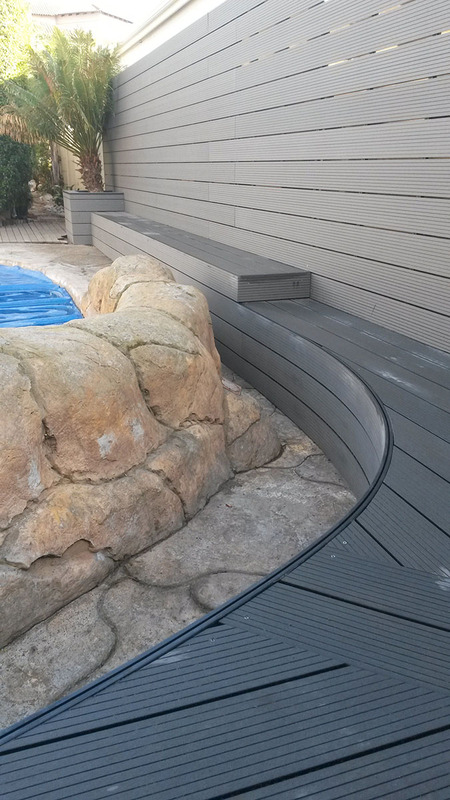 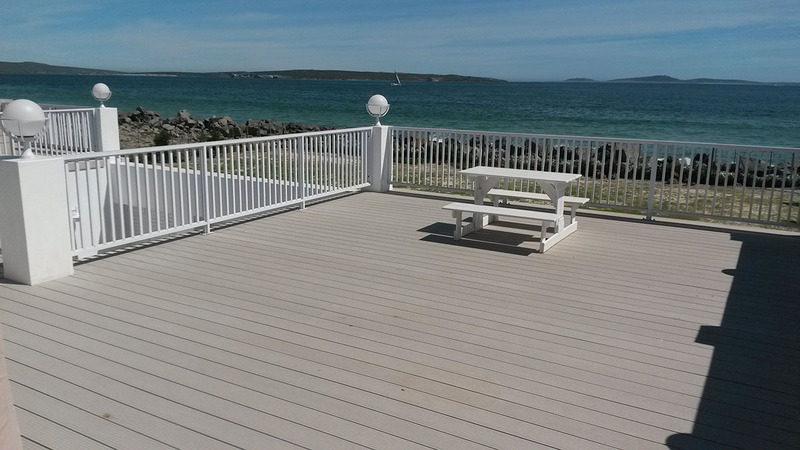 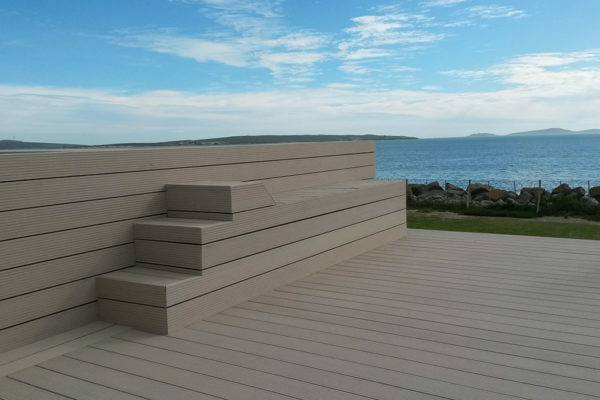 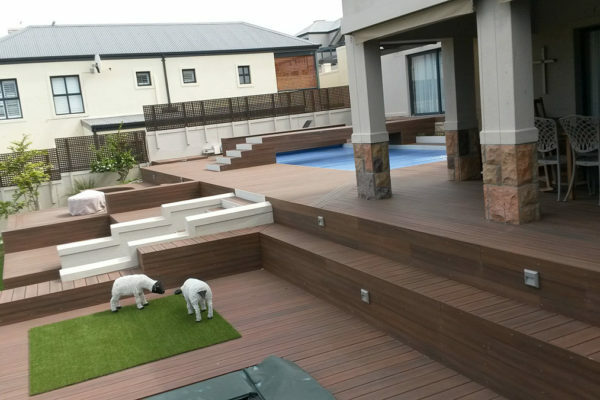 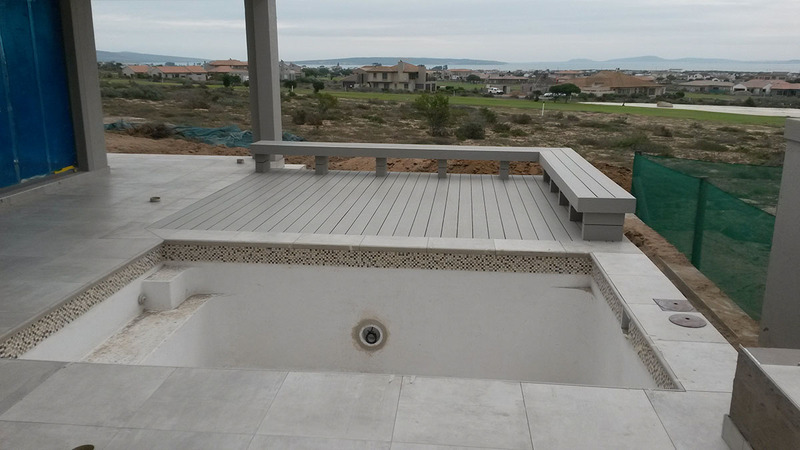 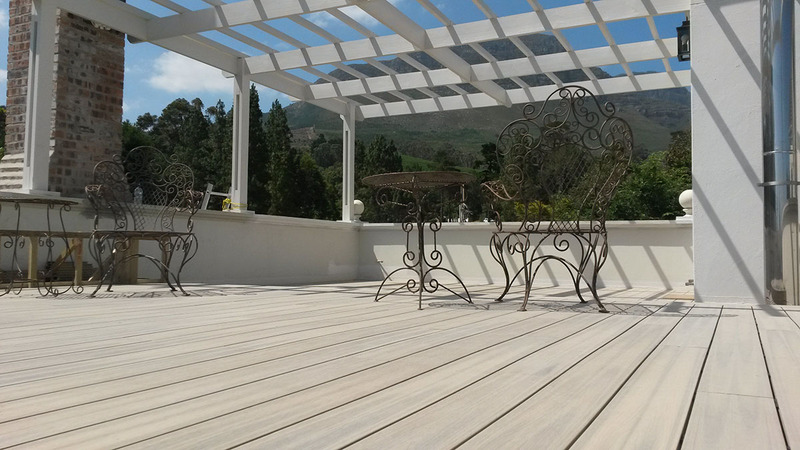 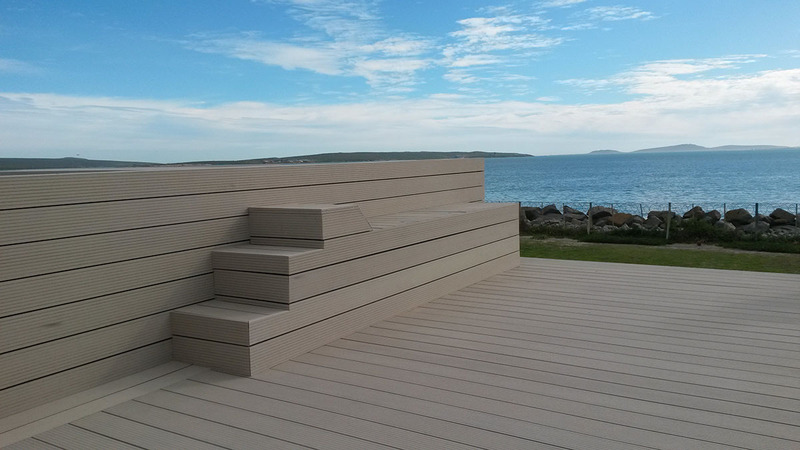 Composite decking is a wonderful solution for your outdoor space. 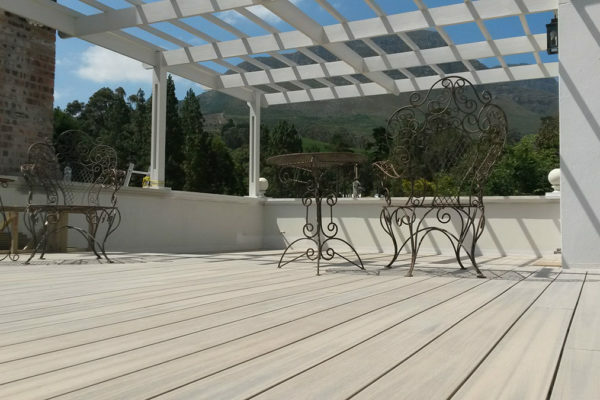 With a 10 – 25-year warranty, composite decking is the perfect no-maintenance choice for the homeowner, restaurant, commercial space and game lodges. 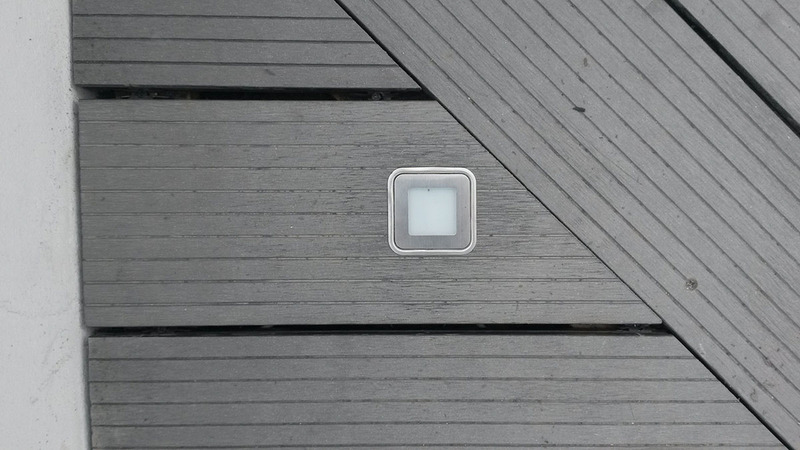 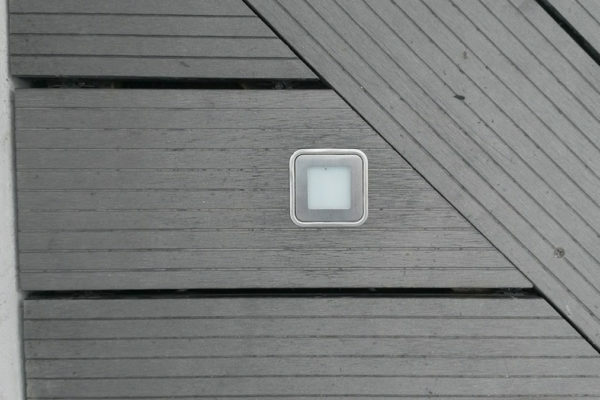 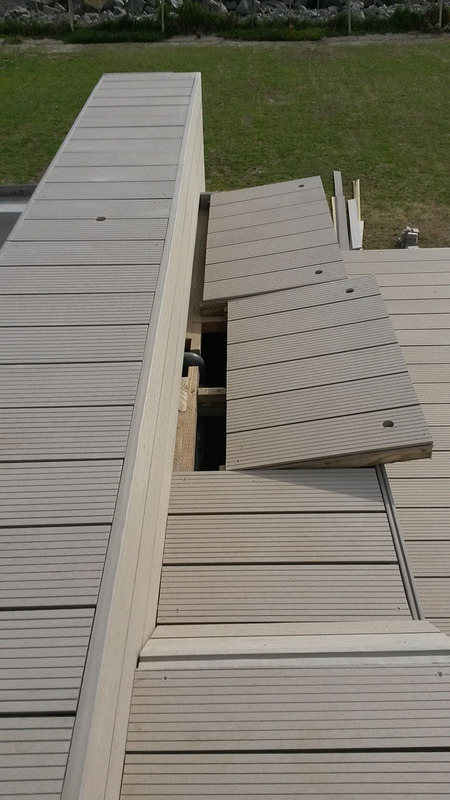 Almost no visible screws on the top of the decking boards. 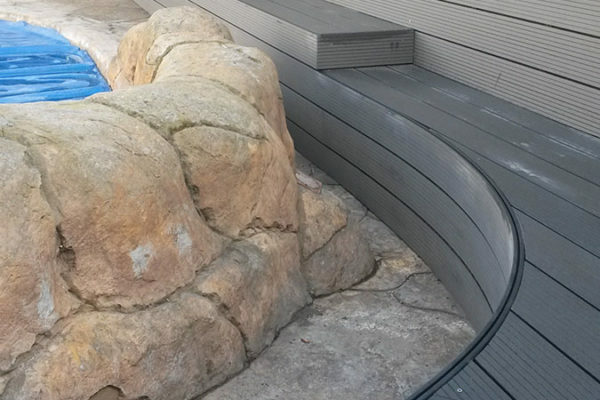 It can be shaped and bent to create smooth and soft curves. 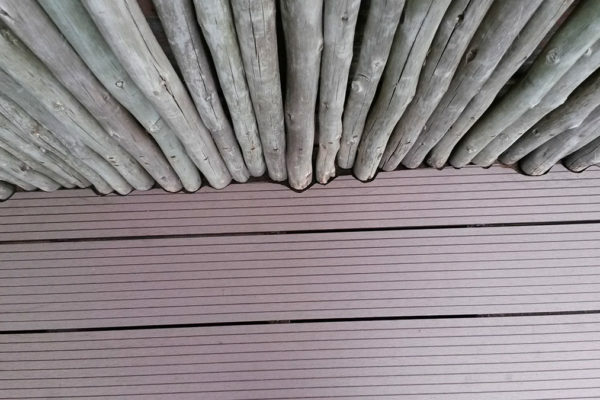 Choice of 25 different colours and various profiles to choose from. 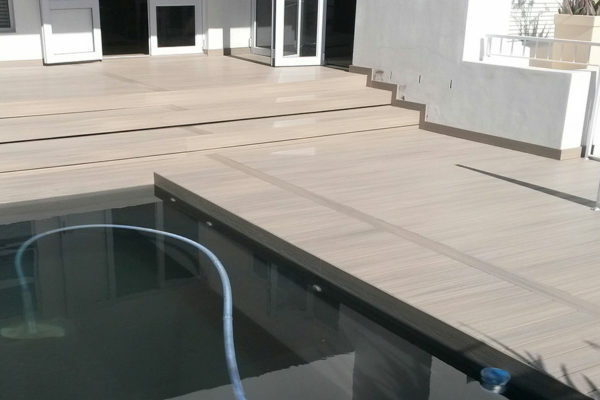 10 to 25-year warranty on the product. 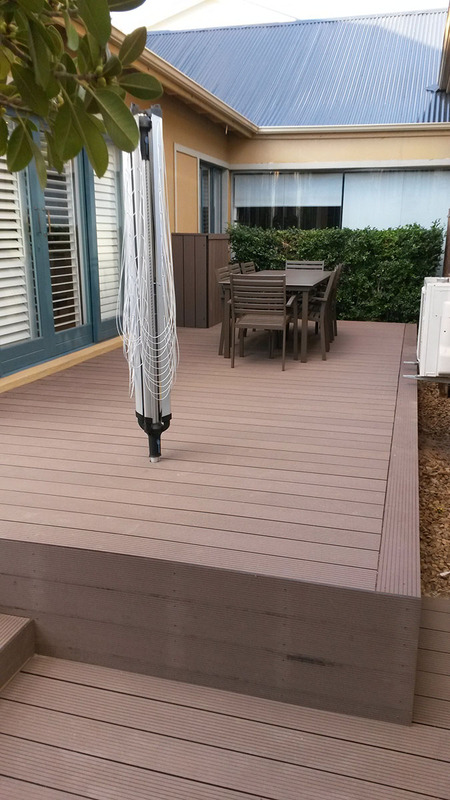 You pay once as there is no maintenance on a composite deck. 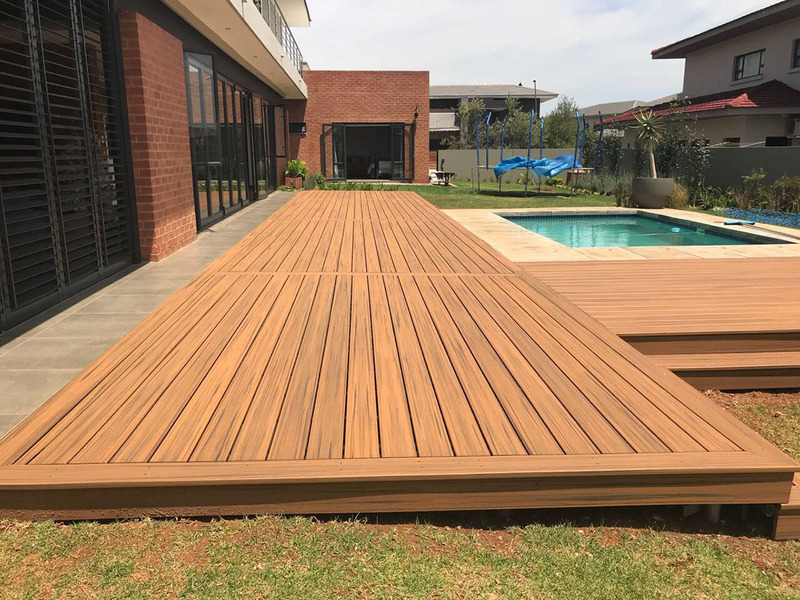 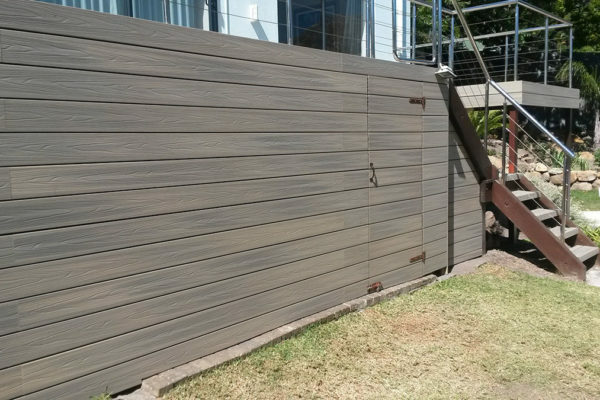 Initially more expensive than timber most of the time but timber costs more to maintain over time than the initial cost of composite decking. 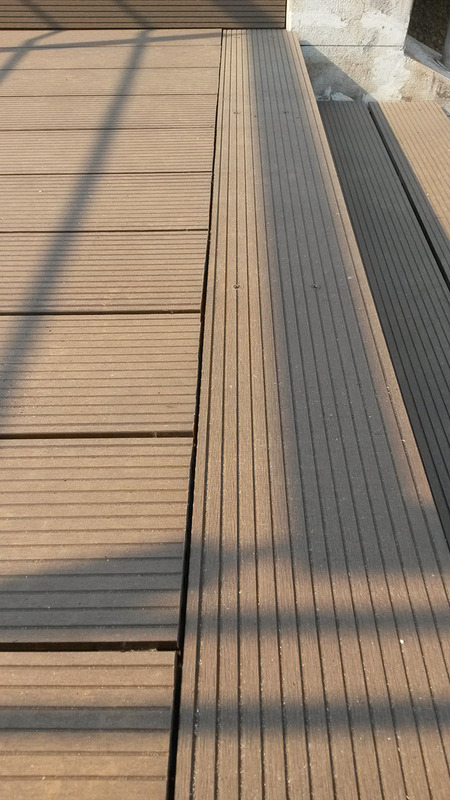 Has been known to look like plastic, but technology changes all the time. 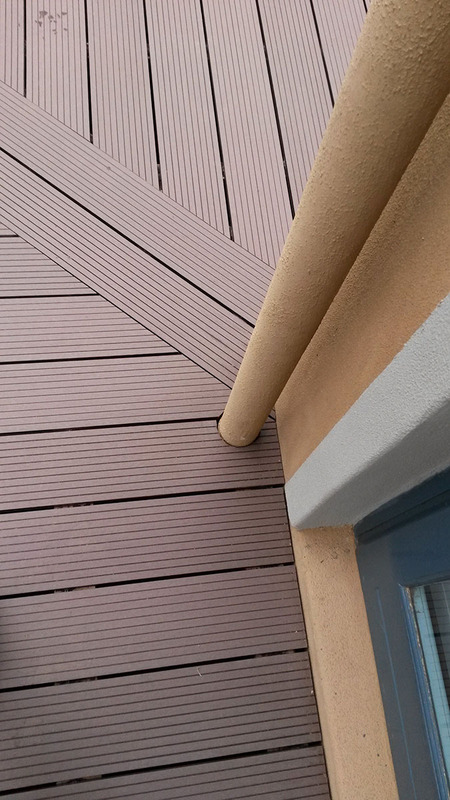 Fixed lengths which translate to some wastage. 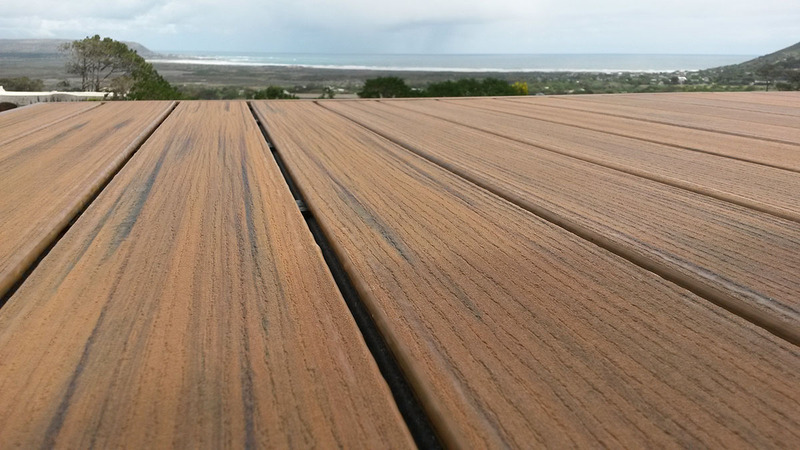 If there is a stubborn mark, lightly sand the area with 40 grit sandpaper. 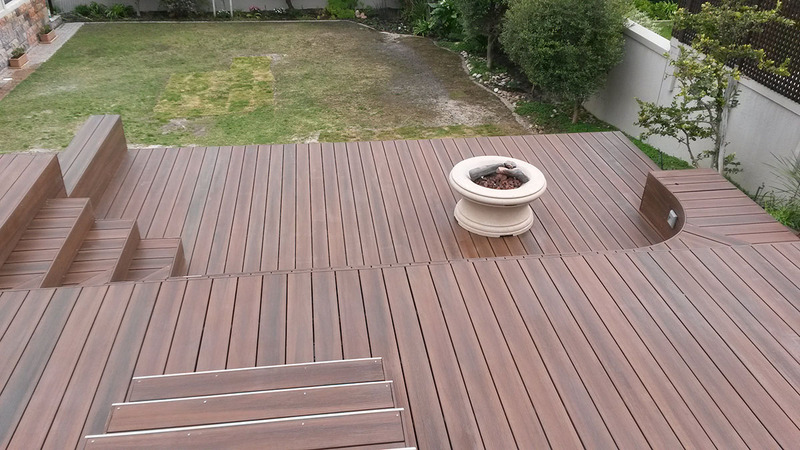 There will be a slight colour change for a few days before it blends back.